Chameleon Concessions capitalizes upon vast industry knowledge to provide assistance to our customers every step of the way. Prior to launching Chameleon Concessions, Mark Palm gained restaurant experience as a third generation owner/employee of Palm Brothers Restaurant Equipment business, a family business established in 1910. 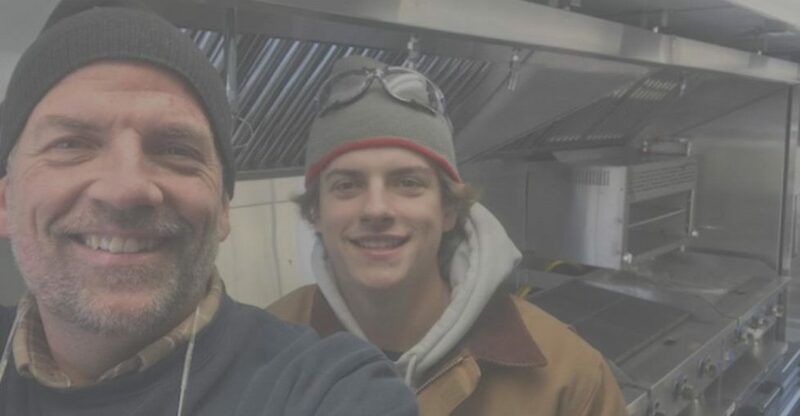 Mark obtained hands-on knowledge of operations when he owned and operated the Tool Box Deli food stands at Home Depot locations in Minnesota. This hands on experience was beneficial in helping us understand your work flow so you can be productive and profitable. We understand what our customers need to succeed! Our customers have a strong tenure with Chameleon Concessions because of our commitment to deliver best-in-class products with the highest level of integrity, knowledge, and service at a great value. 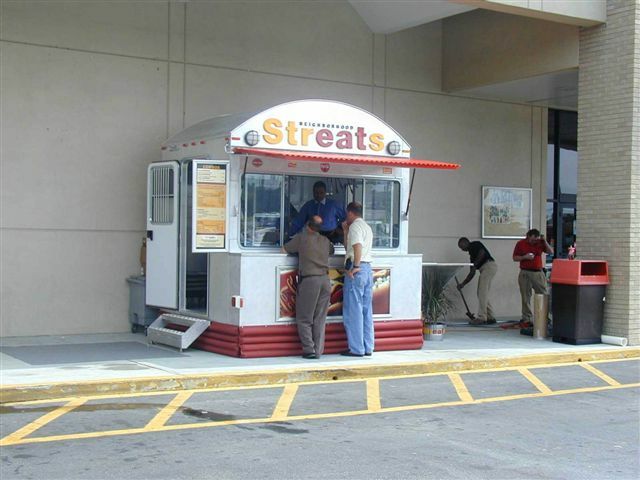 Chameleon Concessions is prepared to support each customer with the design, equipment, knowledge and service to launch a successful and profitable operation. 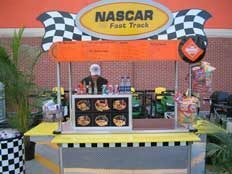 We welcome the opportunity to work with you by creating your custom truck, indoor food truck park, concessions trailer, cart or custom build. 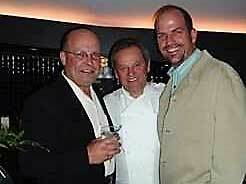 We are passionate about what we do and enjoy every minute! 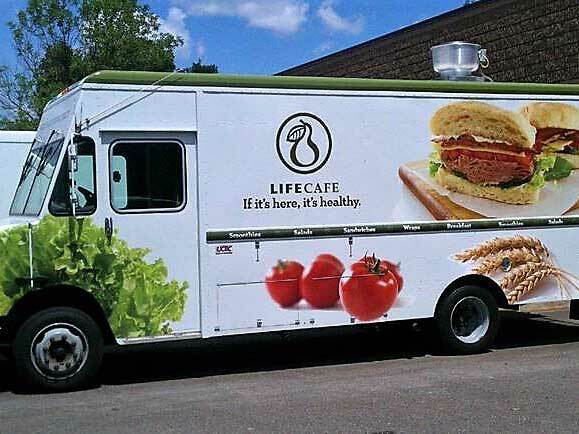 Mobile vending provides tremendous opportunity to people interested in pursuing a career in food service, who enjoy being their own boss and earning a profit. 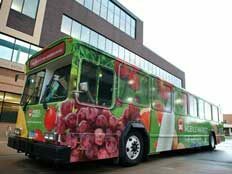 Corporations are also using mobile vehicles for promotional and merchandising purposes because it allows them to bring their product directly to their customers. 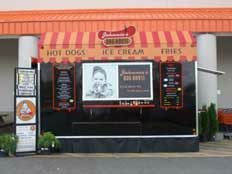 Chameleon Concessions is committed to making sure every customer is satisfied every step of the way from our initial consultation through the delivery of your mobile food unit on time and within budget. Chameleon Concessions has many satisfied customers. We would like to add you to our list of happy customers! 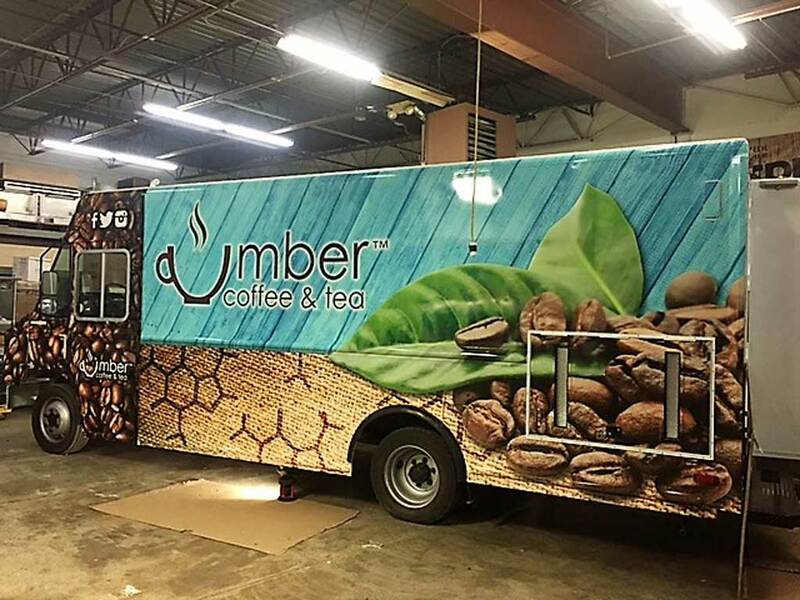 We are often asked “how much it will cost to build a truck, food truck park, trailer, cart or custom build?” Since every mobile solution we build is custom, to answer that question we need to know more information including your menu, what equipment do you desire, how much storage will you need. To provide an estimate, we need a clear picture of what we are building. What are the steps to build my mobile vehicle? The first step is to determine your menu and where you plan to do business. Minneapolis has different rules than the suburbs. Codes vary from city to city and state to state. There are a number of factors that need to be considered in determining what equipment is best for you. Some of these factors include your menu, the volume of meals served per meal period, the number of people in your kitchen staff, the duration of your event, your available refrigeration, freezer and dry storage space, and your budget. 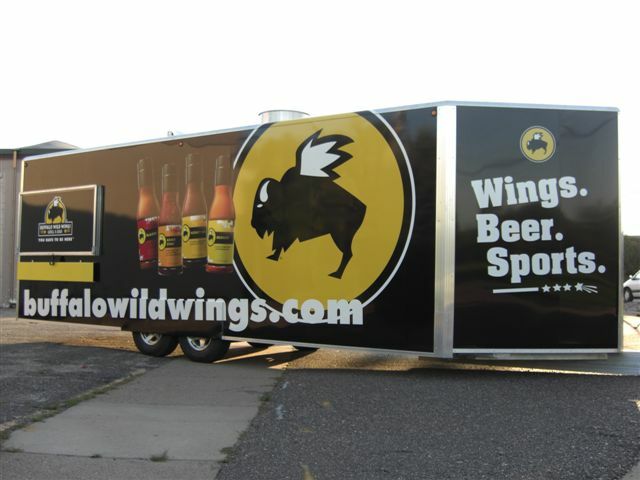 The equipment to support your menu will dictate the length of the vehicle needed. We prefer to install all new equipment from preferred vendors we know have equipment that meet code and can withstand the abuse it will undergo on a mobile platform. The next most typical items are a sink system, fryer, range (with or without oven). A fire suppression unit is an emergency extinguishing system in which nozzles are placed under the commercial hood over each piece of cooking equipment with an open flame. If the temperature exceeds a certain threshold, a dry liquid powdered chemical will be dispersed and the gas will automatically be shut-off. This system also comes with a K-class fire extinguisher. You then need to consider additional cold storage needs and your general storage needs. You will need to be careful about the size of the equipment selected, as it will need to fit in your vehicle. Be cautious about adding too much electrical equipment because your generator will need to be large enough to power these items. We will design your kitchen and power needs to your specs and prepare an estimate. This is a preliminary stage in the process allowing you to change the design or size to make sure you get exactly what you need. We will work closely during this process until you are completely satisfied and your vision is realized. You will also need to contact your local Health Department as well as your Fire Marshal to understand the codes and regulations in your area. Secure plan approval of your design. Each city and state and has unique requirements that must be met. Chameleon Concessions can provide guidance with this process. We have mobile vehicles all across the country and we are familiar with most of the requirements. Obtain licenses and permits. Permits differ in each state, county, and municipality that you are operating within. Chameleon Concessions can provide guidance during this process. We can refer to you lenders that we have relationships that can help you obtain financing. What is Chameleon Concessions payment policy? We require 60% deposit to commence the build-out. The remaining balance is due in the form of a cashier’s check, wire transfer, check or credit card. How long will it take to build out my mobile platform or food truck park? The time required to complete a build-out will vary upon the season. You can enjoy faster turnaround times in the fall and winter. 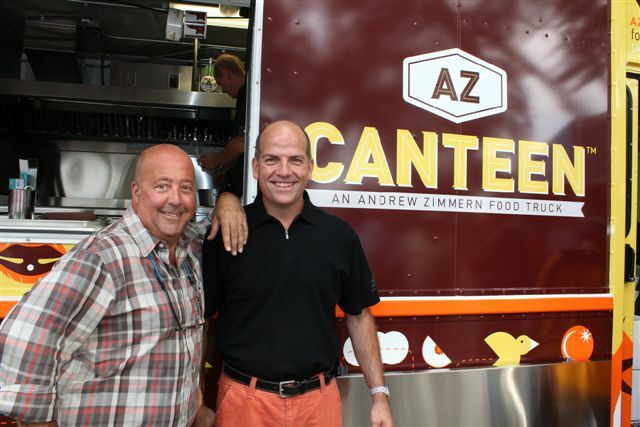 The average time to build-out a food truck or trailer is eight to twelve weeks. The average time to build-out a cart is four to six weeks. 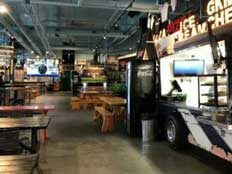 The average time to build-out a food truck park or custom build varies based upon the scope of the project. Please call Chameleon Concessions to discuss your project. Do you have new or used trucks? We are not an auto dealership, but we can assist you in finding a truck. We have relationships with a number of dealers that can help you. We do occasionally have used truck inventory at our site that are available for sale. The price varies widely depending on age, milage and condition. A diesel truck with 100,000 miles is considered low mileage. A diesel truck can last over 300,000 miles. Bear in mind that when it comes to your business, trucks are truly a “you get what you pay for” item. A solid, reliable truck can make or break your business. Is it worth saving a few dollars if your truck spends more time in the shop, than out earning you money. 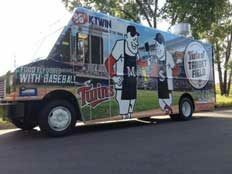 Cooking Truck – A cooking truck can range from $40,000 to $90,000 (not including the vehicle) with a hood, fire suppression system, gas equipment, refrigeration, sink system, propane, generator, etc. Custom build – Varies based upon what we are building. Please call for a quote. Gasoline or diesel trucks are available. Is the weight of the truck a concern? Weight distribution is a very important aspect of designing your mobile kitchen. If you purchased a used truck, you may need to install new springs for added support. We have a relationship with a company that can assist you with this process. When power is not available you will need to use a generator. Determining your power requirements can be a complicated process. All our mobile kitchens have an external “shore” power plug that can be used to power your concession when an external source is available. The size of the generator you need will depend upon the electrical load. We will calculate all your power needs when we design your mobile kitchen and will recommend the properly sized generator. Generators are similar to trucks where “you get what you pay for”. Cheap generators tend to be very noisy and can lead to unhappy customers and can wear on you after time. We have been doing this for years and can secure you a quality generator. There are gasoline or diesel generators. We can tie the generator directly to the fuel tank of the truck. Your generator is an important component of your mobile kitchen. If it is not working, you are not making money. Routine maintenance is imperative to keeping your generator operational. Can you paint the Truck? We are not a paint company, however we do have relationships with companies that can paint your vehicle. Can you wrap my mobile kitchen? We are not a graphic company, but we do have relationships with several companies that can assist you with the design and installation. Yes, we work with insured reputable carriers to get you mobile solution to you safe and sound. Manufacturer’s warranty applies to food service equipment. 30 day warranty offered on reconditioned equipment.